John's practice exercises his extensive experience in the deployment and recovery of debt and equity capital and in commercial law. His practice includes business formations, acquisitions and dispositions, distressed asset investing, private equity transactions, mezzanine lending, commercial lending, creditor's rights, loan workouts and recoveries, lender liability, securitizations, the Uniform Commercial Code, and commercial law generally. John’s practice spans a wide range of different industries, including automotive, banking, commercial finance, commercial real estate, construction, information technology, insurance, health care, manufactured housing, manufacturing, restaurant, specialty lending, waste management, and other industries. In his core capital deployment and recovery activities, John’s practice emphasizes the use of loan-to-own strategies, enterprise foreclosures, purchases under Section 363 of the Bankruptcy Code, and other creative strategies to recover and create value related to distressed enterprises on behalf of original lenders and distressed asset investors. John is listed in The Best Lawyers in America® 2009 for his banking law and equipment finance law practices; Chambers USA: America's Leading Lawyers for Business 2009 for Banking & Finance: Transactional; and in Mid-South Super Lawyers 2008 for his banking practice. 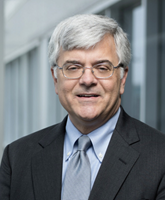 He is a past chairman of the Lender Liability Subcommittee of the American Bar Association’s Commercial Finance Committee and is presently chairman of its Intellectual Property Financing Subcommittee. John has actively participated in the development of legislation in his practice areas, has been a law school instructor on Article 9 of the Uniform Commercial Code, and is a frequent speaker to bar and industry groups. John has a special interest in the application of management disciplines such as Six Sigma, the Theory of Constraints, the Project Management Body of Knowledge, and Lean to improve client service through the thoughtful exercise of legal disciplines and the effective use of information technology.